Planning to work in Denmark? Working in Denmark is an appreciable idea through which one can take advantage of well-balanced family and work life, excellent career and business opportunities and good welfare state. Over the years, Denmark has attracted many foreign nationals due to its many striking and appealing features. Skilled workers can find their way towards Denmark, as the country is in need of highly skilled workers. Citizens outside the Nordic countries or the EU (European Union)/EEA (European Economic Area) must obtain Denmark Work Permit and residence permit to reside and work in Denmark. Getting a Denmark Work Permit completely depends upon your qualifications. Denmark Work Permit is not required for individuals who hold a residence permit based on family reunification or asylum or humanitarian grounds. The Denmark Immigration Department has designed many schemes to make it simpler for highly qualified professionals to obtain a residence and Denmark Work Permit. Highly qualified workers who wish to work in Denmark can apply for Denmark Work Permit under Denmark Green Card Scheme. To obtain a Denmark Work Permit, applicants need to qualify in a points based system in addition to meeting other requirements in Denmark Green Card scheme. Under Positive List scheme, Denmark Work Permit will be obtained by applicants who have been offered a job in any one of the shortage occupations that the country is facing. The list of shortage professions is specified on the positive list. Under Pay Limit scheme, a Denmark Work Permit is granted for individuals who have been offered a job with a pay more than a certain limit. Candidates who belong to this category can easily obtain Denmark Work Permit and gain access to Denmark labor market. In addition to this, there are various cases in which a Denmark Work Permit will be granted, which include professionals or labour market considerations. 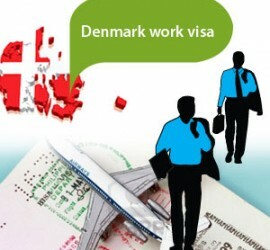 Who is eligible for Denmark Work Permit?